A Perfect Rest Stop Between Adventure Activities! 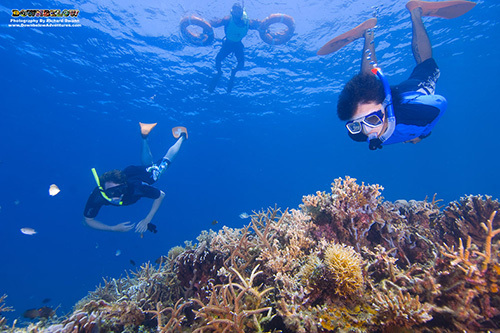 To Experience the Underwater World ! 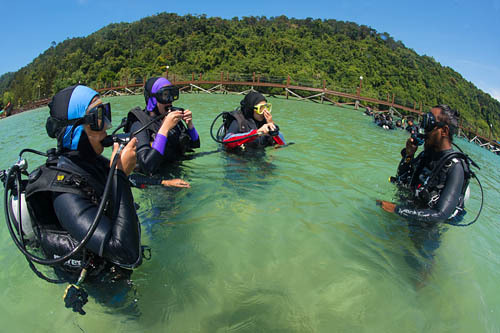 Together with our partners over at Mt Torq we have put together an Ocean to Mountain 7D/6N Experience which includes overnight stays in the Downbelow Adventure Lodge in Kota Kinabalu City, one day Scuba Diving or Snorkelling, an overnight climb of Mount Kinabalu with Via Ferrata, a Rest Day and Airport Pick up! 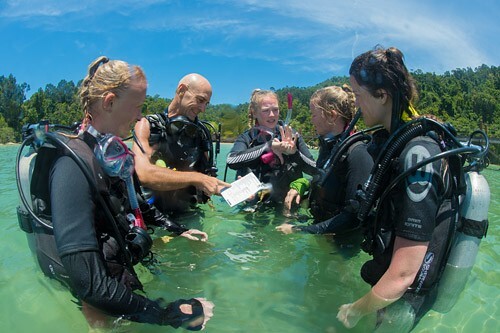 Priced to offer exceptional value for money, this hassle free promotion is suitable to divers and non divers, qualified or non-qualified and takes the headache out of planning such an adventure! Complimentary Airport Pick up from KKIA to Downbelow Adventure Lodge only between 0900hrs to 2000hrs. 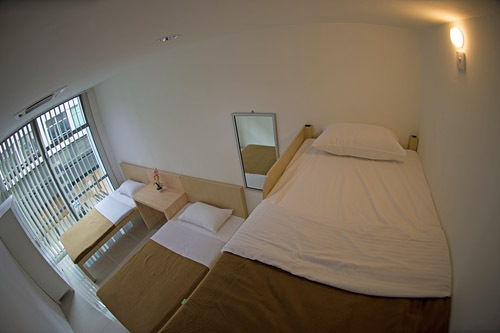 5 Nights stay in Twin Share Room with Communal Bathroom at Downbelow Adventure Lodge. 1 Night stay at Pendent Hut on Mt Kinabalu (Dormitory Bunked Bed with Communal Bathroom). Shared (Non-private) Land & Boat Transfers as specified in the itinerary. 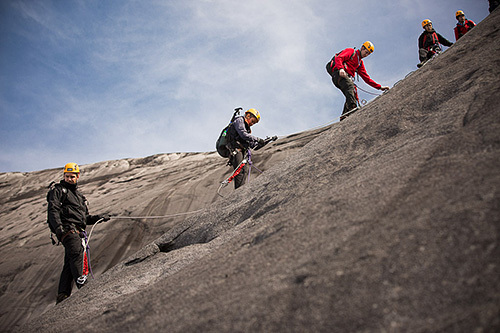 Climbing Permit, Insurance, Private Mt Guide, Shared Via Ferrata Trainer, Certificate for your Mt Climb. Meals: 1 x Packed Lunch, 2 x Lunch, 1 x Dinner, 1 x Supper, 1 x Breakfast. Our online promotion offers the best value for money. Please contact us if you require a tailored holiday package. Please choose your desired start date for this package adventure below. Yes! I’m fit to dive! Pick up from Downbelow Adventure Lodge @ 0700 hrs and transfer to Kinabalu Park (1.5 – 2 hours drive). Upon arrive at Kinabalu Park proceed with registration that our driver will assist you with and introduce you to your mountain guide and collect your packed lunch. After registration, KOKTAS transfer to Timpohon Gate (Starting / Ending point) and set off for the climb (approximately 4 to 6 hours) with your mountain guide. Proceed climbing to reach Laban Rata (3,272.7m) and check in at Pendant Hut – Dormitory Bunked Bed With Communal Bathroom basis. NOTE: There is a mandatory via Ferrata briefing session that you have to attend at Pendant Hut between 1500hrs – 1600hrs on your first ascend day. Do make sure you arrive Pendant Hut and attend this briefing at the mentioned time as you will not be allowed to do the via Ferrata activity the next day if you missed it. 0130 hrs wake up for supper and pack-up to hike to the Low’s peak (4, 095 m) for sunrise viewing. 0630am meet your Basic Level – Walk The Torq Trainer for your activity (duration 2 – 3 hours) then head back to Pendant Hut and enjoy your late breakfast – American breakfast style. 1130 hrs check out from Pendant Hut and descend to Kinabalu Park with your mountain guide. 1500 hrs expected time to arrive at Timpohon Gate and then transfer by Koktas to Kinabalu Park HQ, then returns by Downbelow’s Mini-bus to Kota Kinabalu on shared transfer. Complimentary Airport Pick up from KKIA to Downbelow Adventure Lodge only between 0900hrs to 2000hrs. 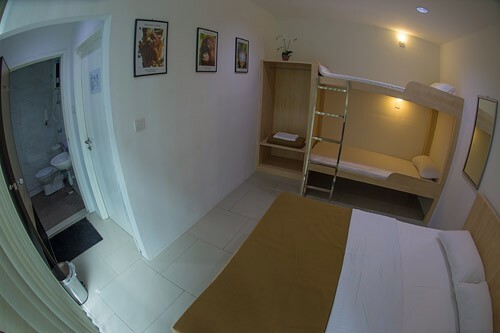 5 x Nights stay in Twin Share Room with Communal Bathroom at Downbelow Adventure Lodge. 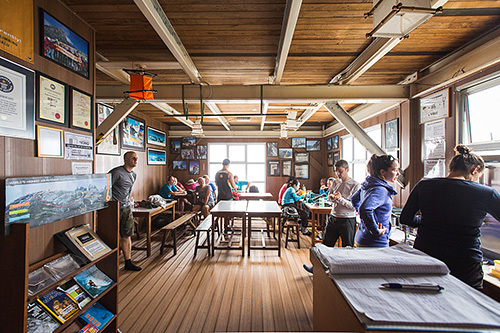 1 x Night stay at Pendant Hut on Mt Kinabalu (Dormitory Bunked Bed with Communal Bathroom). Shared (Non-private) Land & Boat Transfers as specified in the itinerary. 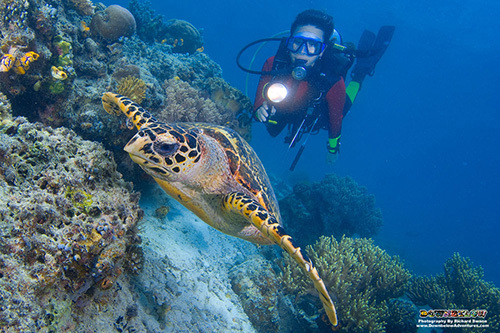 1 x Day Scuba Diving (Suitable for Qualified Divers or Non-Qualified Divers) or Snorkelling from Gaya Island (TARP) Climbing Permit, Insurance, Private Mt Guide, Shared Via Ferrata Trainer, Certificate for your Mt Climb. Meals: 1 x Packed Lunch, 2 x Lunch, 1 x Dinner, 1 x Supper, 1 x Breakfast. International and Domestic Flights. Porter Fee during your Mt. 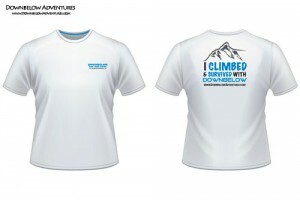 Climb – if needed. Alcoholic and Carbonated Beverages. Other Meals or Items not mentioned in the itinerary. Laban Rata Resthouse: Bottled Mineral Water, Coffee, Tea & other hot drinks are available for purchase at the Grocery Counter. Coffee & Tea is complimentary during breakfast & supper. Pendant Hut & Lemaing Hut: Hot water is available for drinking. Should you wish to re-fill your water container ensure that it can take very hot boiled water. A. The mountain guides are licensed and employed by Sabah Parks, a government authority and are not employed by individual operators. We arrange your guide for you and always request that your guide speak English and we request those we are familiar with. However on occasion especially at peak times our preferred guide may not be available and it may happen that your guide can not speak English. Rest assured however all are expert mountain guides and are local men and women from the area and your safety remains their priority. A. 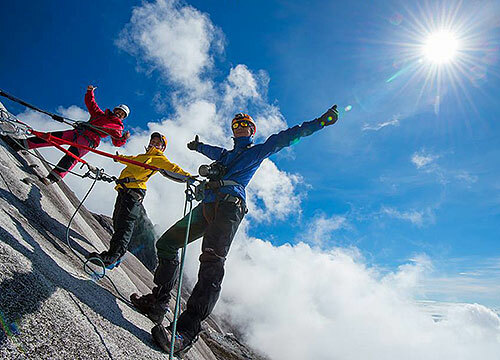 No, your booking includes a private mountain guide for your booking only unless otherwise stated, you will not have to share your guide with other climbers, this way you may climb at your own pace. Occasionally your pre-arranged mountain guide may be sick or unable to climb and we will then need to arrange another mountain guide at short notice. Sometimes then we will ask you to share a guide and we will refund you the difference between a private guide and shared guide. The mountain guides are compulsory and are with you to keep you safe, ensure that you stay on the correct summit path and should visibility reduce due to rain or fog, ensure that you do not become lost or disorientated. Also should you need assistance or evacuation they will summon it for you. Our packages are protected under our PRICE PROMISE, which means if you find a cheaper price elsewhere and can send us a bonafide quotation we will beat it by 2%. Thats how confident we are that our packages are the best value for money. 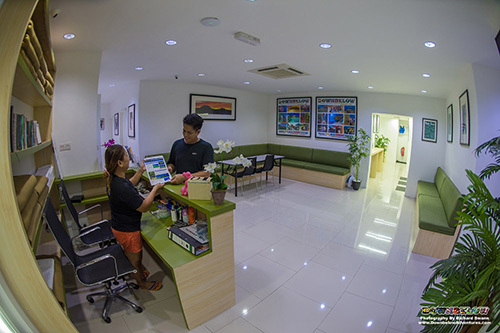 Clients will be asked to complete medical forms and liability forms at the time of booking. Parent or guardian must sign for participants under 18 years of age. Participants must be medically fit to climb. Minimum age for climbing Mount Kinabalu is 10 Years Old.